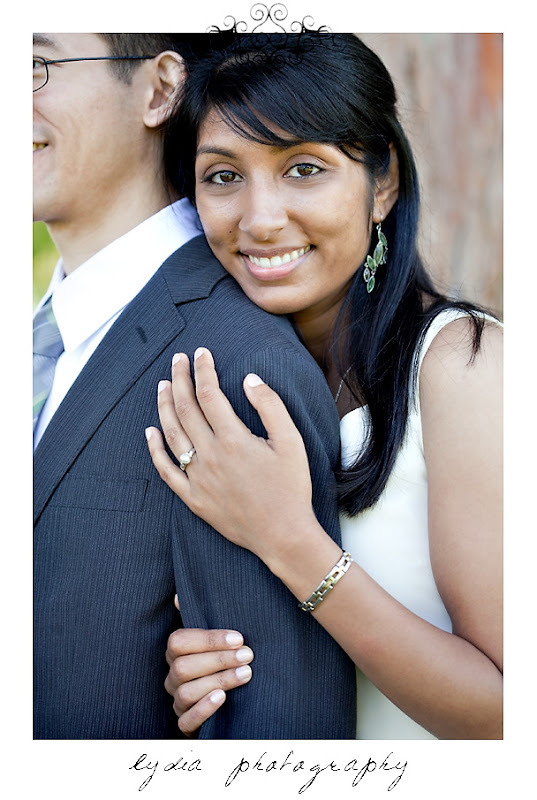 Episomes, Rickettsiae, and Virulence are what brought Yasmin and Daniel together. Essentially. 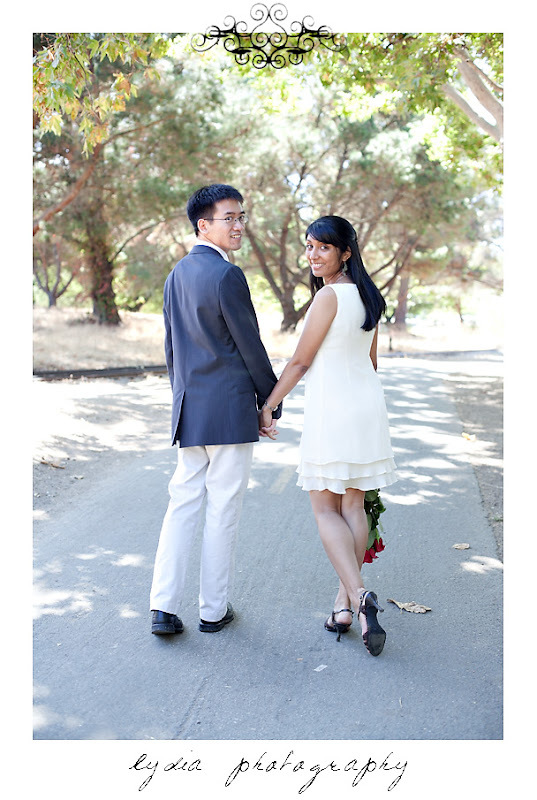 While they both grew up in the Bay Area, it wasn't until undergrad school at UCLA that they met. Microbiology has a way of scaring off the weak and timid, so their class of five became close friends. But that's all Yasmin and Daniel were--friends. Graduate school found them on opposite sides of the country as Daniel moved to D.C. Does distance make the heart grow fonder? Neither of them said so in words, but when Daniel finished school and moved home, somehow, someway, the friendship bloomed into something deeper. Yet distance would prove to be no stranger to this new relationship. It was only five short months later that Daniel got a job that moved him to Texas. So last May when Yasmin came home from teaching to find a scavenger hunt had been set up at her apartment, she just figured it was an end of the school year treat Daniel had set up with her roommate. All the while never realizing he had flown in to see her! Until, that is, she found the boarding pass and saw him waiting for her at the bridge. As Daniel got down on once knee and proposed, Yasmin answered "yes, yes. a thousand times yes!" 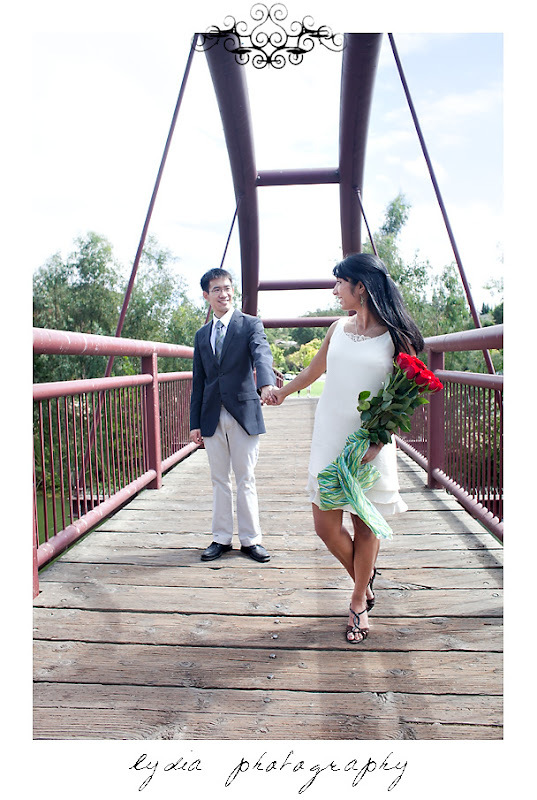 Yasmin and Daniel, I cannot wait for your wedding! I left the park pumped, excited for November, and on my way to pick up that Jamba Juice! I thank God for putting you two in my life. Less than two months left! 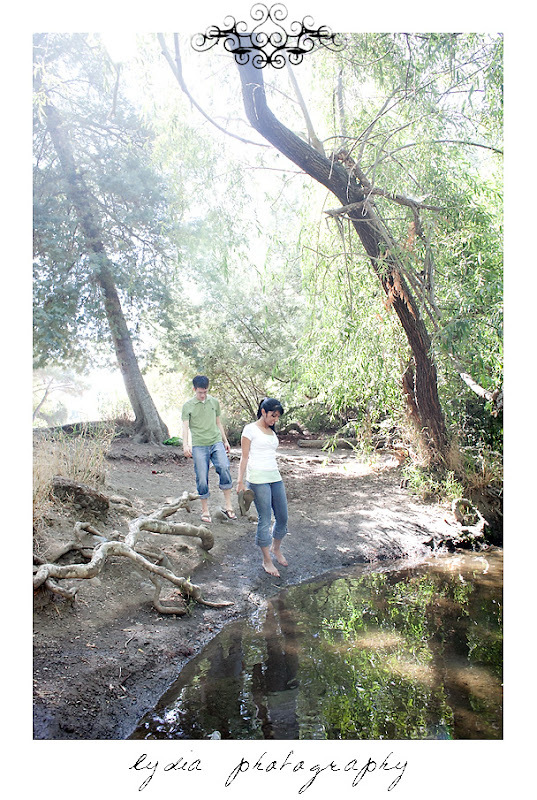 Vasona Park was an amazing place to shoot! Yasmin did her research and found the perfect place for them! Yasmin is going to be a beautiful bride! 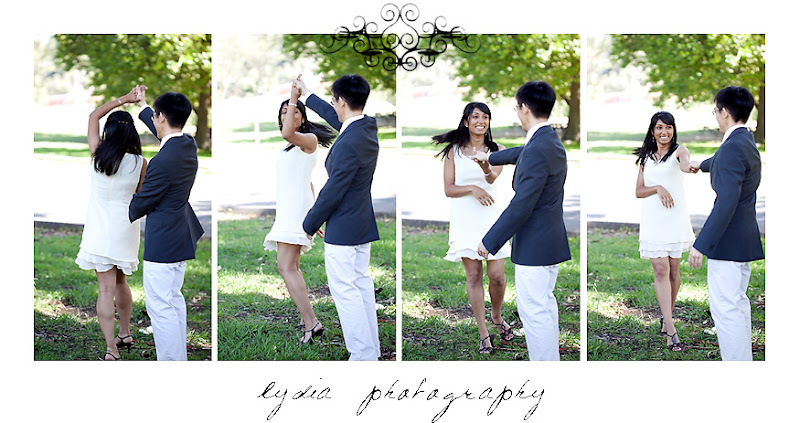 I'm so blessed to work with clients who will try anything and even brave icky spiders to get the shot! 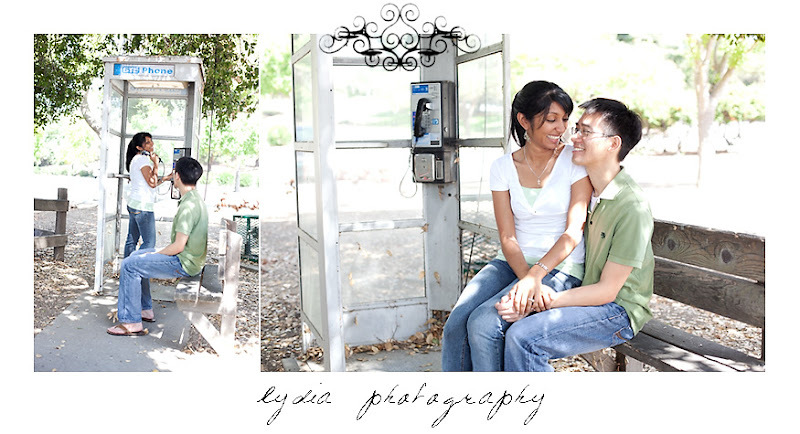 To view more of Yasmin & Daniel's Los Gatos Vasona Park engagement session, check out their personalized website! What a sweet couple. 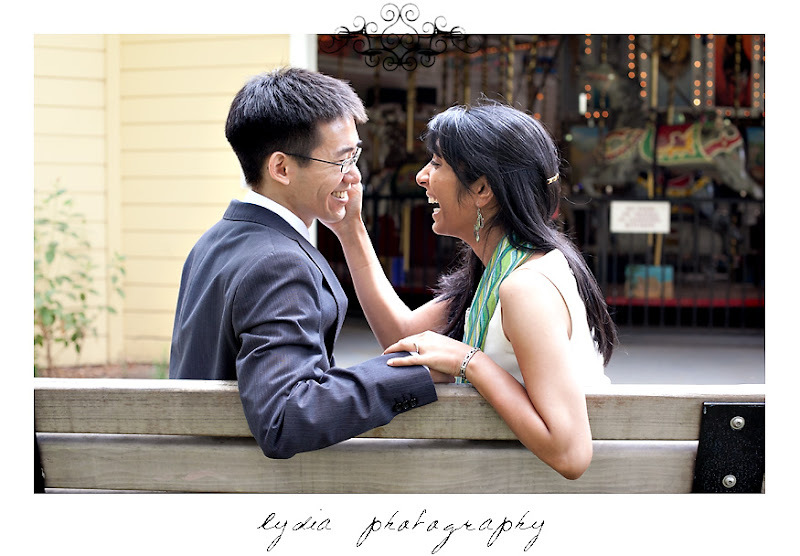 I love the images you captured Lydia! They are beautiful and timeless! Awww! I love this post, Lydia! Thanks so much--we are so blessed to work with YOU!